When you purchase K-Cups for your Keurig, how confident are you it’s a good investment? 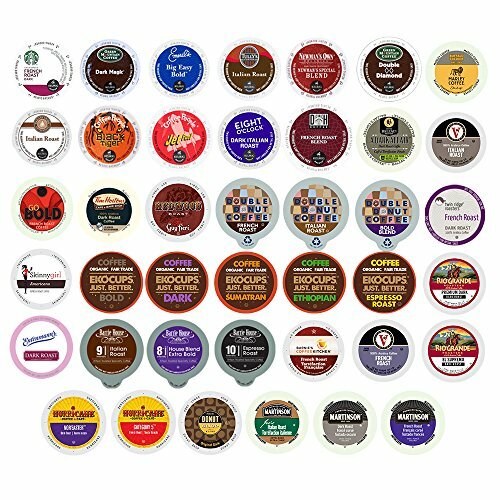 I don’t know about you, but when I shop for K-Cups on Amazon there are hundreds to choose from, and until I win the lottery, I can’t buy them all. Since I can’t try it before I buy it, and I’m incredibly cheap, it’s sometimes impossible to decide which new brands to purchase based on reviews. It’s usually at that point that I give up and consider switching to hot tea instead. The problem is, I love coffee too much to give up on my quest for the perfect dark roast K-Cup. I put down my tea kettle and decided to research what others had to say about which ones were worth my money. I’d like to share with you what I found out now. If you love dark roast coffee as much as I do, but want a quick, decent cup of coffee quickly, read on to learn about what makes the best dark roast k cups. My Bottom Line Up Front: If you need the quick fix, my go-to dark roast is the Death Wish Coffee available here. It’s as dark, bold, and caffeinated as it sounds! Strongest K Cup: Death Wish Coffee Co. I am going to assume if you are reading this you know what a Keurig is and why it’s magical for those that enjoy a hot cup of joe at any hour of the day. Keurig K-Cups are single-serve coffee containers consisting of a plastic cup, aluminum lid, and a filter that you insert into a Keurig, press a button, and voila! The coffee that used to take five minutes to brew is ready in seconds. Roasting causes a chemical reaction to take place within the bean that brings out its aroma and flavor. Once they are roasted to the desired temperature, the beans are cooled and packaged to preserve their freshness before brewing. In this review, I’ll give you a quick snapshot of the K-Cup and what online coffee community thinks about it. These reviewers I affectionately refer to as my coffee brigade because, like me, they are passionate about their morning cup and are on a mission to find and share only the very best. I know you all probably think that you’ll only get a good cup from coffee grounds, which may or may not be the case, but I know you can get a decent cup of coffee fast with K-cups. So if you love the dark roast coffees, and want a cup of coffee in a hurry, pay attention people! A deep, dark, and intense cup of coffee, Dark Magic is known for its extra bold flavor and smooth finish. 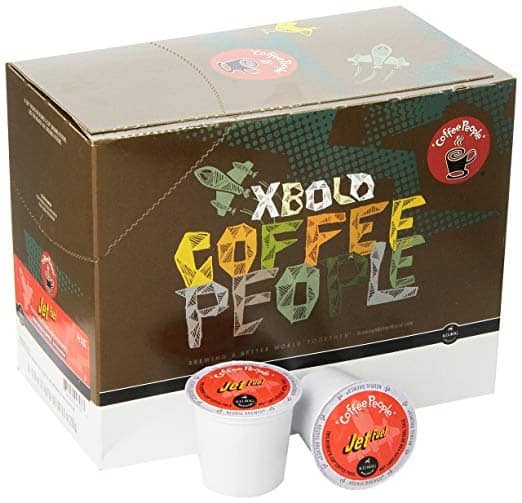 It’s not surprising this K-Cup made it into the top five since Green Mountain owns Keurig and knows how to craft a coffee specifically for its machine. You won’t get the cup of joe you expect from a high-priced coffee maker, but what you do get is a solid cup of dark roast coffee that can rival most take away cups. Green Mountain coffee is one of the best, but let’s here from the cofee brigade as well. On Amazon, 11,494 people gave this K-Cup 4.5/5 stars. One reviewer claims he has tried all the Keurig dark varieties of K-Cups and this one is the darkest and boldest he’s had. Many say it is bold without being overly bitter and has a nice smooth finish. The only negative reviews had to do with price, and for some, they like a stronger coffee which I think is more of a personal taste than issues with this particular K-Cup. If you like a bold taste without bitterness, Dark Magiccomes highly recommended. Diedrich earns high ratings online for its authentic flavor without the bitter or burnt aftertaste. It has a heavy, full-bodied taste with a hint of molasses flavor. This K-Cup offers a toasty aroma, syrupy body, and a pleasant finish. 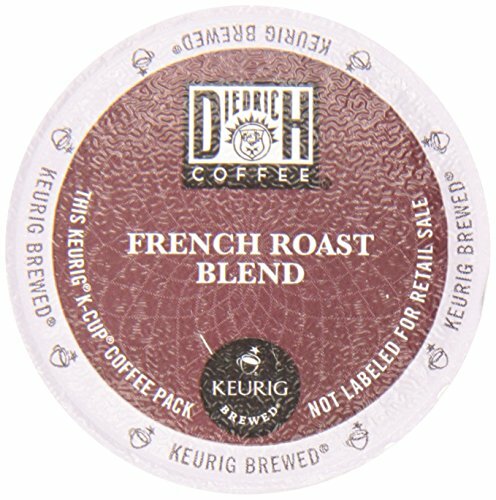 Here’s an interesting side note: Diedrich Coffee was a family business that began in California that is now a part of Keurig Green Mountain, so this is another K-Cup product made specifically for its machine. One reviewer commented that this is a coffee to savor, not to chug, and has a wonderfully rich, full-bodied flavor. Another said the finish is so smooth they can forgo the creamer and it has the taste and texture to back up the initial burst of aroma. For those that want a dark roast experience rather than another cup of coffee, this one is for you. 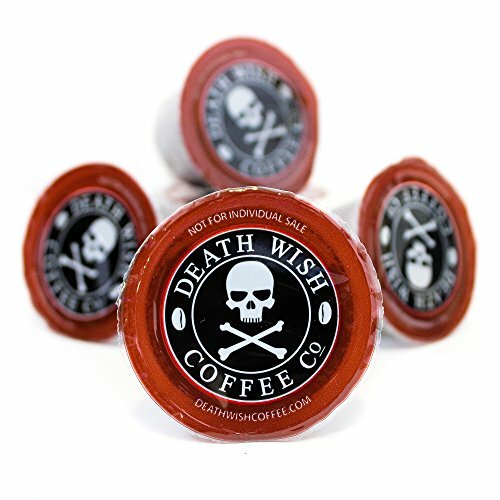 Death Wish Coffee has a strong, never-bitter taste with subtle notes of cherry and dark chocolate. It is dark and rich with a hint of dark chocolate and fruit to add some sweetness to it. 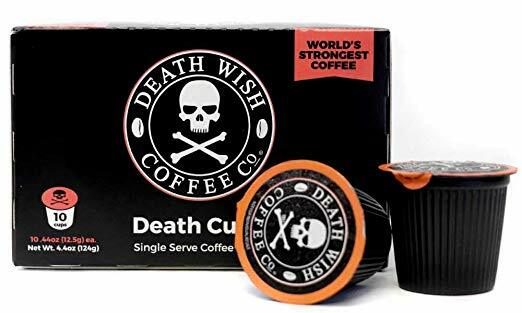 The Death Wish Coffee website says its highly-caffeinated coffee is created by: “using the strongest combination of beans and a perfect roasting process.” You would think that the death wish has something to do with the caffeine content this coffee contains. You’d be right. While I’m not calling this high octane jet fuel, it does give you quite a buzz! Many love the extra caffeine and the kick that comes with it. One reviewer said it’s perfectly bold and dark with no bitterness and great flavor. Time and again reviewers love the extra caffeine, with many saying it’s the strongest and boldest cup they have found. Verdict: This is a good choice for those that want some extra caffeine in their cup paired with a bold, never bitter taste. This is another highly-caffeinated dark roast that has a bold, earthy flavor with a hint of chocolate. 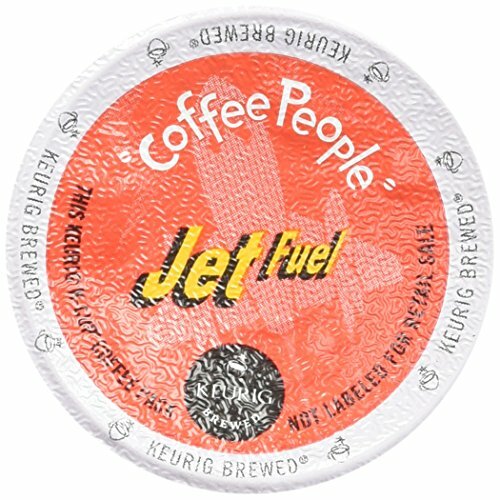 Jet Fuel is one of the strongest dark roast K-Cups available. Many commented on how it is a strong, bold coffee with no bitter aftertaste. One reviewer said that the flavor is outstanding, smooth, and full-bodied. While many reviewers praised Jet Fuel for its strong flavor, others didn’t like it because it was too strong. Unlike Death Wish Coffee, few commented on the additional caffeine with most reviews focusing purely on the strong, flavorful taste of this great coffee. After reading so many reviews, one thing is clear: if you like a strong cup of coffee, this one is for you. Either you love it or you don’t ask it out for a second date; give it a try to find out for yourself. 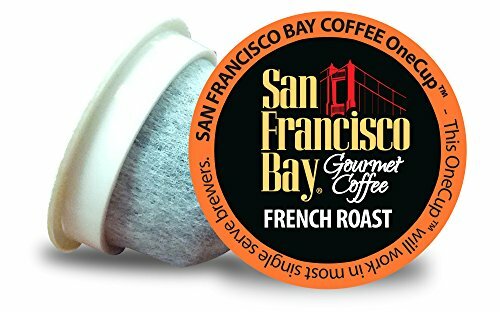 The San Francisco French Roast K-Cup is an intense coffee experience they claim is not for the faint of heart. It has a smoky coffee flavor without the bitterness that accompanies many French roasts. The online coffee community loves that this K-Cup provides a biodegradable option for Keurig owners and coffee enthusiasts. That aside, they also love the rich, bold taste with many commenting on the intense smoky flavor that delivers a unique experience. Some testified that it is true, this coffee does pack a punch with one reviewer saying those with “gentle hearts and nervous systems” might want to try something else. If you enjoy a complex cup of coffee and you think you can handle it, give it a shot! If you are still unsure which dark roast to buy, why not treat yourself to a little variety? 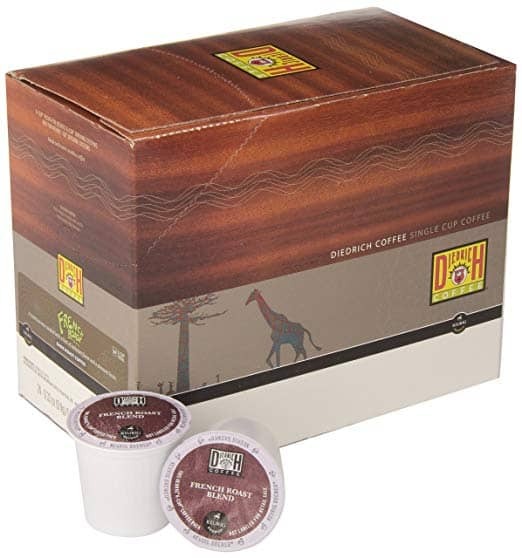 The dark roast variety pack offers 40 K-Cups of bold and dark roast coffee from more than 18 different brands including Green Mountain, Caribou Coffee, Donut Shop, and Barrie House. Online reviewers gave it 4.5/5 stars and most enjoyed the chance to find their favorite at and affordable cost (about $0.66/cup). Thanks to my coffee brigade, I’m heading to Amazon to place my next order. I hope this helped you decide on your next dark roast K-Cup purchase too! NOTE: To get my take on general K Cup recommendations (not specifically Dark Roast), check out this article here. Looking for the best place to buy bulk k cups? Best Places to Buy Bulk K Cups. Previous Post: « Nespresso Machines: Which Machine is the Right One for You? Thanks for taking the time to research all the bold k-cup coffees. Lots of great information as you did the work to find the best brews. Very, very helpful and appreciated.